While my Brain is resting from its concussion. 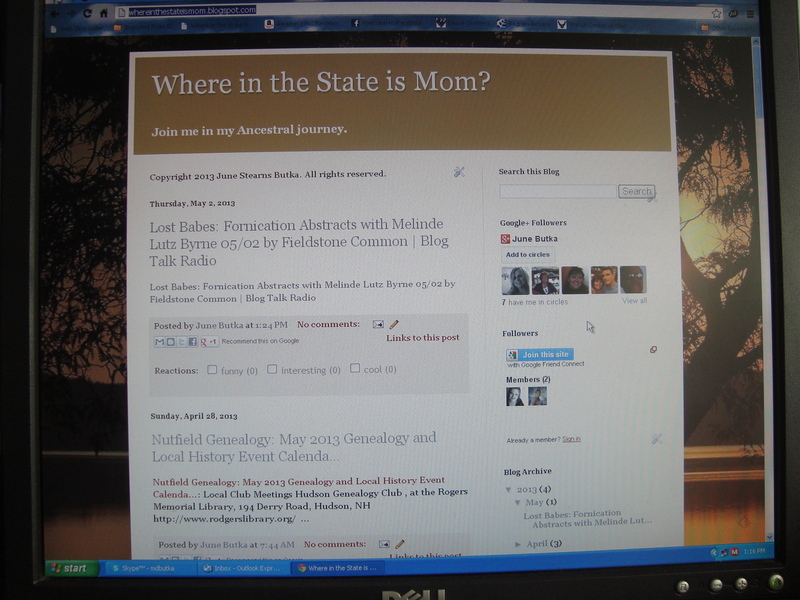 I hope you enjoy the way back memories of days gone by from my first blog attempts. I will be posting my journey while searching for my ancestors. I think you will find the search interesting. Some of the people will be just your “Average Joe” type, while others are a little more colorful. Some will be relatives. A few will not be related,but I found the story interesting and thought you might like it. Please join me in my Ancestral journey down memory lane of my family. The surnames I will be following are Stearns, Nelson, Chase and Fletcher. All four ancestors arrived in the Massachusetts Bay Colony during the Great Migrations during 1630-1638. Tradition has it that Isaac Stearns arrived on the Arbella. The ship of Winthrop’s Fleet carrying the Massachusetts Bay Colony Charter. See you next time with my first antidote of history.